Do you have questions about current trends? Concerned your writing resolutions for the new year fallen to the wayside? Well have no fear, agents Lucienne Diver and Nephele Tempest are hosting our February online chat, and they are ready to guide you to success. From the best writing habits to keep yourself on track, the number one qualities in a query that truly impress an agent, how to stand out at writers' conferences, and beyond -- they've got ALL the answers to your publishing questions. Additionally, to celebrate the upcoming Valentine's holiday, we will be giving away TONS of books by some of our most beloved romance authors. How To Chat: Enter any combination of username and password. Login. **Your computer must be Java enabled to chat. 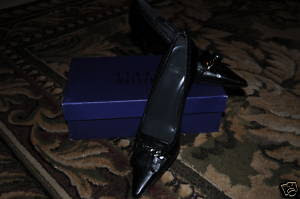 My good pal, Marley Gibson, author of the fabulous Ghosthuntress series is auctioning off a never before worn pair of Stuart Weitzman black pumps on EBay right here. The original selling price for these lovlies is $376. All proceeds will go to the Salvation Army's efforts in Haiti. If I wore size 7s I'd bid myself, unfortunately, my foot is ahem, slightly larger. I don't pretend to know all the ins and outs of the recent Amazon/MacMillian brouhaha. 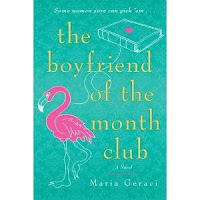 I'm way too deep into revision mode on Boyfriend Club to come out for more than a few seconds of air, but when I'd heard Amazon had pulled the buy buttons on MacMillian books in order to teach MacMillian a "lesson" (I guess) I had to sit up and notice. I'm not published by MacMillian, but that's not the point. What happens to one publisher can easily happen to another publisher and as well as being a writer, I'm a consumer, and I have a huge vested interested in how all this plays out. Of course, as of yesterday, it was reported that Amazon has caved into MacMillian's demands and the whole riff is over. Where the new Apple I-Pad (tee hee) comes into all this is interesting. Competition is good. It's the American Way of life. It's consumerism at it's best. Take it away, and we become, well, Russia. I don't care how many e-readers are out there. The more the merrier. If a publisher wants to charge 15 bucks for an e-book then let them. It's up to me as a consumer to decide if it's worth it or not. 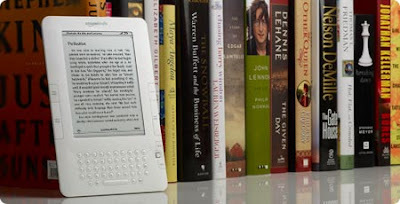 Price control on e-books is not a bad thing. No one wants to see bookstores and real live books that you can hold, touch, feel and smell go away. I received a Kindle for my birthday last November and I'm currently reading Pieces of Sky (great western romance) on it. It's instant gratification at its best and for me an alternative way to do what I love most- read. Since buying it, I've bought two print books that I'd originally bought on my Kindle because I loved them so much and I wanted to reread them in the best way possible, by flipping live pages. I love my Kindle, but it's no substitute for the real thing.